I must admit I prefer seeing snakes in metal form, rather than live and in person. This being the Year of the Snake, this creature is front and center of many an accessories collection and is the subject of Bulgari’s retrospective exhibit of its Serpenti jewelry collection. 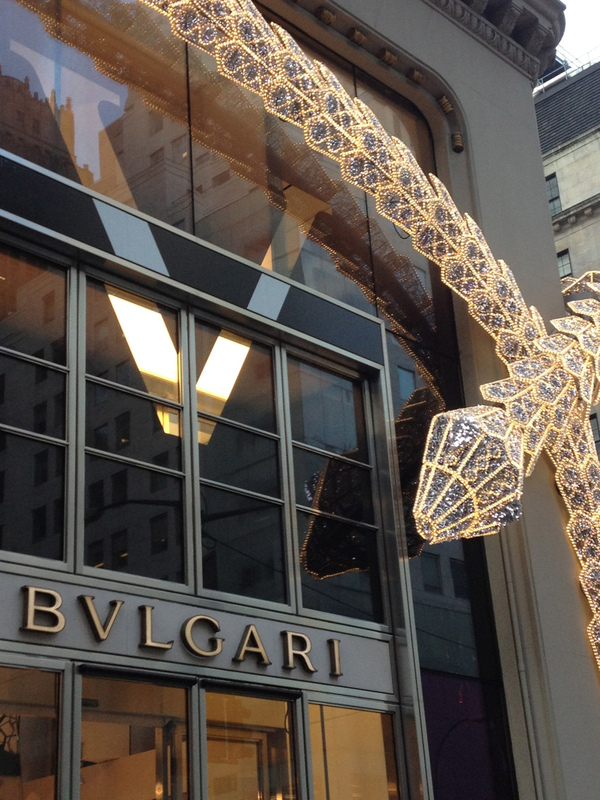 Now that’s how I like my snakes…Bulgari store front, NYC. I’ve always liked snakes in jewelry–especially rings and bracelets which seem to lend the sinuous, wrapping ability of the creature to the form of the object. Forstner Snake Bracelet via Etsy. Consider this set–a vintage Whiting & Davis stamped belt and bracelet. Amazing…. Vintage Snake Belt & Bracelet via Etsy. Mesh, enameled, bejeweled–snakes are available in all different interpretations. This is the year to embrace the snake!